A beautiful and contemporary retelling of Colin Thiele’s classic Australian tale. 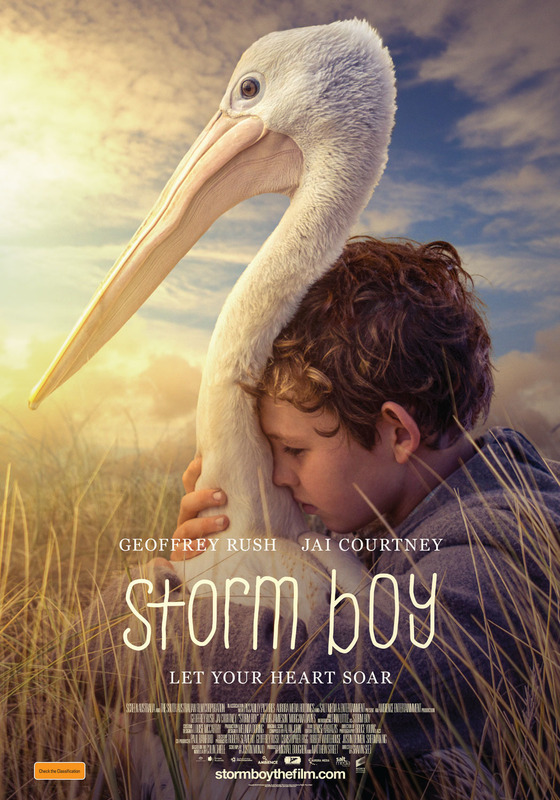 ‘Storm Boy’ has grown up to be Michael Kingley, a successful retired businessman and grandfather. When Kingley starts to see images from his past that he can’t explain, he is forced to remember his long-forgotten childhood, growing up on an isolated coastline with his father. He recounts to his grand-daughter the story of how, as a boy, he rescued and raised an extraordinary orphaned pelican, Mr Percival. Their remarkable adventures and very special bond has a profound effect on all their lives. Storm Boy is seen running up a dune towards a rainbow.